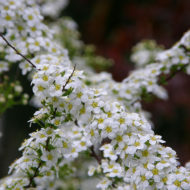 Home / All BambooPlants.ca / Spiraea bumalda ‘Crispa’. 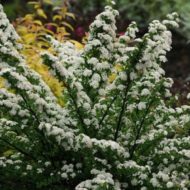 Native to Japan, Spiraea bumalda ‘Crispa’ is distinct among the Spireas for its red-tipped green serrated and slightly twisted leaves. 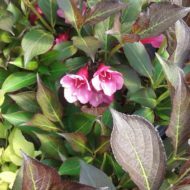 Clusters of deep pink flowers bloom in spring to early summer. 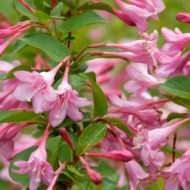 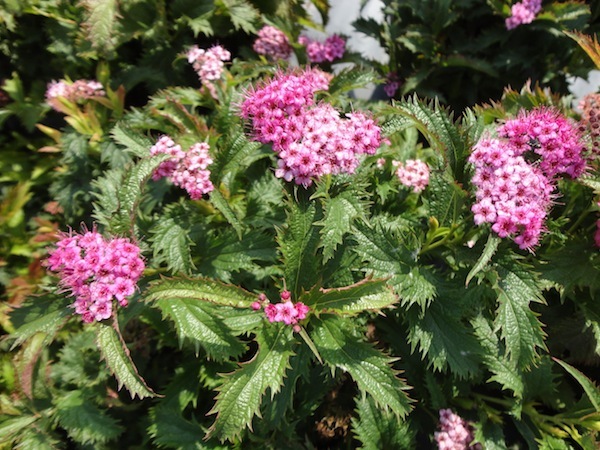 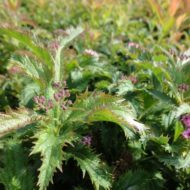 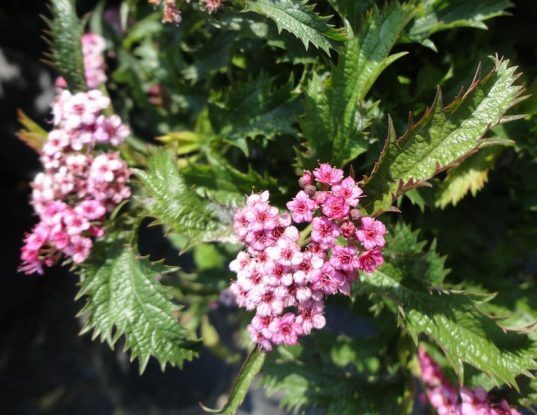 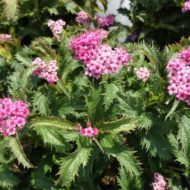 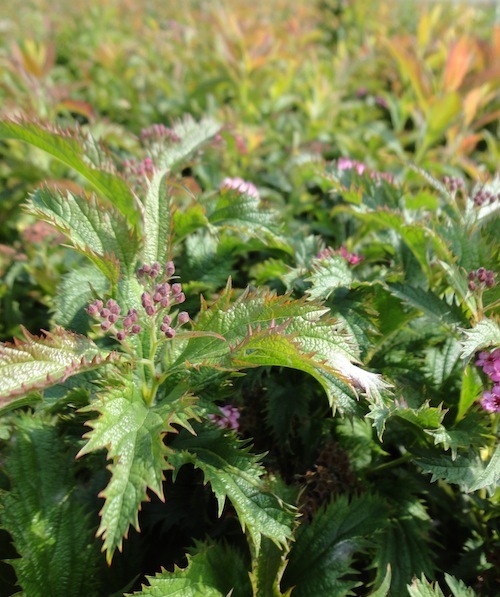 This deciduous shrub grows to 3 ft tall and 4 ft wide, working well as low hedge or specimen.